It is our mission to rehabilitate those with disabilities; to reach and to serve them through love and dedication with the ultimate goal of enabling independence. 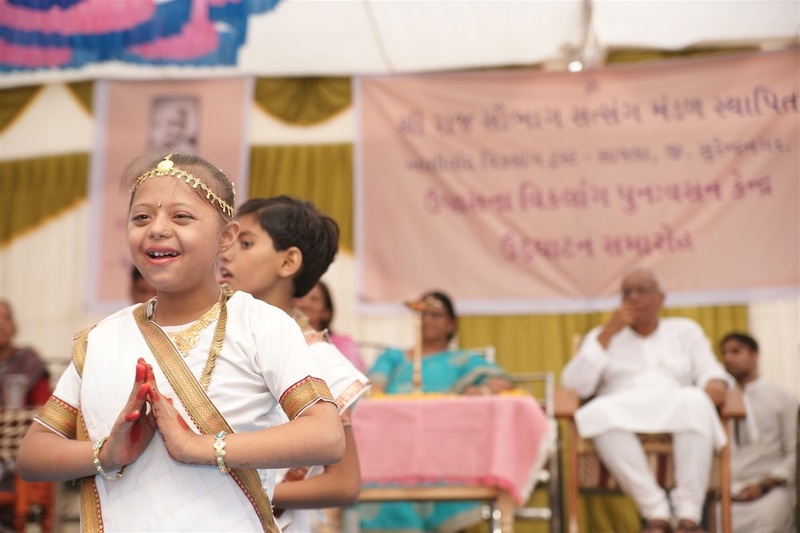 Ashirvad Trust for the Disabled (ATD) was founded with the divine inspiration of Param Pujya Bhaishree Nalinbhai Kothari of Shree Raj Saubhag Satsang Mandal to address the needs voiced by thousands of blind and disabled persons in the Surendranagar District. This inspiration and the local need combined with the professional consultation and advice of the Blind People's Association, Ahmedabad to give birth to this impactful project. The Blind People’s Association has been working in the areas of Limbdi, Sayla and Chotila (within the Surendranagar district) since 1996. The Raj Saubhag Ashram was also pursuing its spiritual activities in the same area. The two organisations worked together to implement a joint programme of giving grains and blankets to poor disabled persons. This small step became a major leap in the history of services for the disabled in Surendranagar. Sayla is an area which is quite barren, suffers from low rainfall and does not have a lot of economic prosperity, but it became the crucible where two organisations gathered and developed unparalleled service for people with disabilities. A good samaritan, Arunbhai Doshi, donated the use of his house (set within the Raj Saubhag Ashram) for establishing services where children with mental illnesses or multiple disabilities could come for intervention, physiotherapy and other necessary treatment. Services rapidly grew and persons with deaf blindness and other disabilities were given treatment and training. Assistive devices were given with the help of donors. Soon afterwards, tricycles, wheelchairs, callipers and crutches could be seen being used by disabled in the district. As the work increased, it was decided that a formal structure for the organisation was required and the Ashirvad Trust for Disabled (Ashirvad Viklang Trust) came into being. With both the success of its endeavours, and the demand for its services, activities expanded and paved the way for a 10,000 sq ft modern, purpose-built rehabilitation centre – the only one of its kind in the Surendranagar district. Originally inaugurated in 2006, it has since doubled in size (to 20,000 sq ft) and includes a purpose-built training centre. The Sayla campus also includes a world-class sensory park and a multi-level ramp to enable access for all. In 2013, Upasna Kendra was moved to its newly purpose-refurbished 4000 sq ft centre in the centre of Surendranagar town. Ashirwad continues to flourish under its blessings, serving and supporting many thousands of people in need. We warmly invite you to visit the Ashirvad Centre. Whilst working with the Blind People’s Association of Ahmedabad, I was blessed to have met Param Pujya Bapuji in 1996. It gave me such pleasure to host a disability camp where he donated tricycles to those with disability with his own hands. After 2 years, I met Param Pujya Bhaishree when we hosted a mobility camp in the Ashram grounds. From this point I realised that with Pujya Bhaishree’s blessings we would be able to give those with disabilities the respected place in society that they deserved. 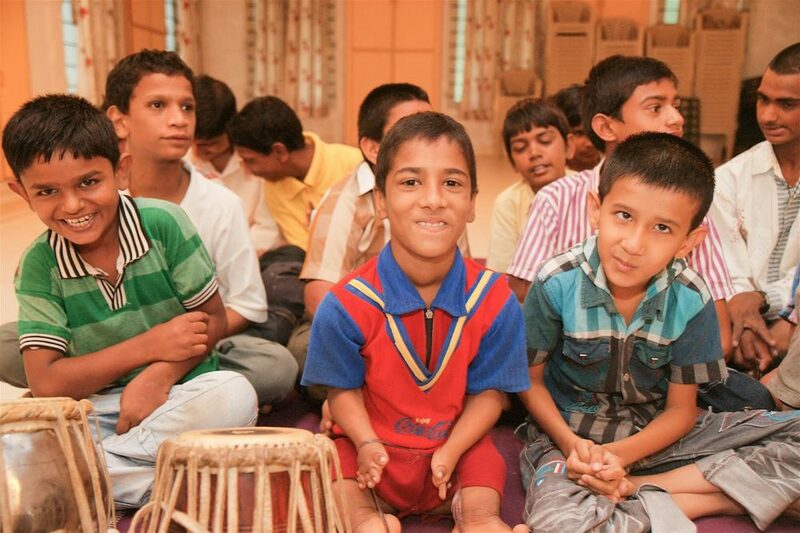 We started a small day care centre within the Ashram through the generous donations of Arunbhai Doshi. Pujya Bhaishree and Pujya Gurumaiyaa would be present for every celebration and event, and with their energy and blessings the centre grew. Pujya Bhaishree envisioned that the centre would one day become a large beacon organisation where children with disabilities would laugh, play and jump for joy, and this is exactly what has happened. Not only have we developed a large day centre in Sayla town, but 2 further centres have been developed in Surendranagar and Limbdi. With the support of the Brahmnishts and Ashram Mumukshus, the work carried out by Ashirvad Trust has been recognised throughout India and beyond. Pujya Bhaishree has inspired such inner strength in me that through our work, we have been able to reach over 50,000 disabled children and adults. We have been able to provide them with medical, educational, social and financial support to help them become self-sufficient and give them a respected standing in society. Alongside this, we have trained over 5000 workers from Gujarat and beyond who now work throughout India to help meet the needs of those that live with disabilities and empower them to utilise their unique abilities.